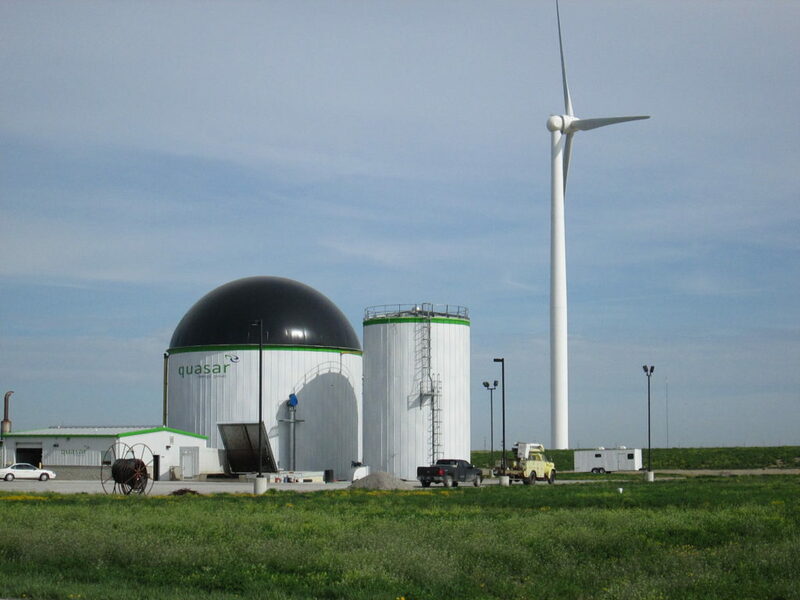 Haviland Energy is a Bio-energy plant that turns waste in energy. The waste is used to make methane gas, which is used to fuel an engine to create electricity. The streams of waste that are used at Haviland Energy must be biodegradable. Waste water from food processing plants, off-spec food products, and sludge from local municipalities are some examples of what are used. These waste products are then fed to an anaerobic digester which creates methane. Methane is created by bacteria, referred to as methogens, through a process called methogenesis. This methane is then used in a 1,000 horsepower engine to turn a generator to create electricity. The surplus electricity is sold to Haviland Plastic Products. The liquid that comes from the digester is used as fertilizer on nearby crop production fields. This is how Haviland Energy turns waste, that could have gone to a landfill to rot and decay, into green renewable energy as well as fertilizer that is put back into the Earth.